Add all ingredients to blender and blend until smooth. Pour into a glasses and enjoy! Use Collagen Powder and 1/2 teaspoon of vanilla extract. Store in a mason jar with a lid in the fridge up to 24 hours. Shake well before drinking. I got 4 chickens a few weeks ago. I knew I would enjoy having them, but I seriously have become a CRAZY CHICKEN LADY. Yes, I’ve even looked at sweaters for my chickens online!! They are the first thing I think about when I wake up, and the last thing I think about when I go to bed. I LOVE my chickens!! My girls have been good to me, producing 3-4 eggs per day. So needless to say, we’ve been eating a lot of eggs and been giving some away. The other day I did a trade with a friend. She has some beautiful collard greens she traded me for some eggs. I knew I wanted to use them to make a wrap of some kinds, so I decided to put a spin on egg salad and it came out delicious! Mix all the ingredients in a bowl. Simple as that! You could eat this on it’s own, in bread, on crackers or like I did, wrapped in greens and added some tomato. An easy nutrient dense meal, which was great when I needed a quick lunch. It has been so hot here, I haven’t have much of an appetite. This has been the prefect meal to enjoy on those hot days. Especially when you don’t really feel like chopping up veggies for a salad or using the oven. Do you have a favorite egg recipe? Feel free to it share below. One month before weight loss surgery. Seven year ago I had gastric bypass surgery. I entered this world of weight loss surgery (WLS) on April 26, 2011 after attending an informational meeting explaining how the surgery was done, what tests and other specialist I would need to see and in about a year’s time, I would be having surgery. From the time I was sixteen, until I was 34 I had used every diet plan, work out program, hours at the gym, ran 2-5 miles a day, tried every weight loss supplement and drugs on the market to try to control my weight. I was also hiding a very serious eating disorder. I met with surgeon the week following the informational meeting and was scheduled to see the dietitian, do a sleep study, have an endoscope, and meet with a psychologist. At this point in my life, I was vegan and for several periods of time, I was a raw vegan. I which meant I only ate plant foods in their raw form. I thought by eating a vegan diet, I was being healthy. But most vegan diets consist of eating processed food, lots of grains and lots of fruit, which is a whole lot of sugar! I was really missing some essential nutrients by following this diet for several years. Since I had no comorbidities, what was usually a year long wait for surgery, turned into less than 4 months. It was at this time I began my dive into learning about holistic health to treat the other problems I was having. Not only was my weight an issue, but I was battling anxiety, depression, insomnia, along with a host of other symptoms. I began researching ways to help with the laundry list of aliments I had. I believe at that time they were related to my weight, and by losing weight they would go away. I now know that my weight was just another symptom, and these problems were cause by the enormous amount of stress from my job, as well as the lack of nutrients in my high sugar vegan diet (mostly smoothies and juices). At the time I had WLS, I was working as an animal cruelty investigator. I was on the road for about 10-15 hours a day, many times knocking on doors of violent criminals with no way to protect myself, eating in my truck, not sleeping, suffering from panic attacks, binge eating and purging. I was a mess! The first few months after WLS was a real struggle. Nothing prepares you for the physical or the emotional challenges you face. From the moment woke up, I knew this was the wrong choice for me. I knew my weight wasn’t a health condition, it was a symptom of something much deeper going on in my body. But the surgery was done and there was no turning back. I just needed to figure out how to heal my body and get my health back. I knew this surgery was not going to be the answer to heal myself. The first year after WLS I lost weight, A LOT of weight. I lost over 100 lbs. My highest recorded weight I was 290 lbs, which is when I went for my first appointment with the WLS surgeon . I know the year prior to that I was over 300 lbs. It’s shocking to me to think about, and even more terrifying to share. After the surgery I was down to 145 lbs, which for my large 5’7″ frame, was really too thin. I was sick all the time and had no energy due to the lack of nutrients my body was able to absorb. I was a mess physically and emotionally. I felt guilty and ashamed of having the surgery. Feeling as though I was a failure because I couldn’t get my life and health under control. As the years went on, and I became a health coach, I felt like a fraud. I followed the “rules” that the dietitian had given me for the first year, but after studying and researching, I quit the low fat, high protein, low carb diet. The biggest improvement I saw was after incorporating lots of good quality fat into my diet. My skin, nails and hair improved. I had more energy, my mood swings diminished, and overall I felt better. This help with vitamins absorption. Having a compromised digestive system that struggles to absorb nutrients, then taking fat out the diet, really makes it a challenge to absorb fat soluble vitamins. I began implementing an ancestral diet, asking myself what would my grandparents or great grandparent eat? My diet became simple: locally source grass-fed meats, organic produce, raw dairy, non GMOs and Gluten Free foods. I learned how to fuel my body and because of that, I was able to heal my gut and maintain a healthy weight for the past 7 years. I have had my challenges with weight gain after surgery, but when I practice self-care, which the first practice is good nutrient dense food, my weight is not an issue. Will I ever be posing in the next Sports Illustrated? Haha, NOPE! But I am happy with my weight and comfortable in my own skin. That for me is true wellness. 3/08/08 to 11/14/08 Weigh-ins from my doctor while I was on phentermine. There very few studies providing data on the long term weight loss success of WLS patients. All the studies I have read, report that more research is needed. I can tell you of my personal experience, along with working with others that have had WLS. WLS is not the answer. Most of the people I know, including myself that have had WLS, after 2 or more years, regain some of the weight. Many of them regain it all and then some. For myself, I no longer have any kind of restriction as I once did for the amount of food I can consume. Believe me, I can eat a whole Otto’s Gluten Free Pulled Pork and Mango pizza all by myself. What has been the key to my success is putting my health first, by feeding my body with nutrient dense food, checking with myself, spending time in nature, with loved ones and moving my body in ways that I enjoy, advocating for myself and knowing my limits, and the biggest thing of all setting boundaries. That includes with others, myself, the hours I work do, what I put on my to-do list, and so on. Boundaries keep us healthy. As anyone that has undergone any kind of weight loss surgery knows, it’s NOT the easy way out. It’s not a decision I regret, but a decision that if I had to do over again, I would make different choices. I would have first found a functional medicine doctor to get to the root cause of my weight gain and inability to loose weight, to treat my adrenal fatigue and hormonal imbalance, my sleep issues, and anxiety, which were ALL related. I would have run a complete thyroid panel, tested for parasites, viruses and gut infections. I would have nourished my body with nutrient dense foods, stopped working out like a maniac, and incorporated gentle movement. I would give my body time to rest and recover from the constant flow of adrenaline and process the trauma I was witnessing on a daily basis from my job. I would be gentle with myself… All the things I practice now because of what I have learned from this journey, so for that I am grateful. Today, August 3, 2018. Seven years after WLS. It has left me with physical and emotional scars. But it has made me stronger and made me take responsibility for my health and wellness. It’s that time of year again, when we turn up the heat. When the heat comes on, it feels like our bodies become drained of moisture. Our skin becomes dry, flaky, cracked and sometimes sore. Here are some tips to nourish your skin and keep it looking healthy and beautiful!! Tip #1. Beauty starts from the inside out! Drink plenty of water. Water helps carry nutrients to the skin, which aids in skin repair and rejuvenation. It also helps with muscle tone which equals to less sagging skin! It is also important to eat clean and lots of greens, and be sure to take Omega 3 to help to keep the skin moist. Omega 3 aids the skin in retaining moisture, which plumps out wrinkles and gives the skin a smooth appearance. Tip #2. Avoid hot showers and baths. For those of us in really cold climates this is a challenge, and I for one LOVE a hot shower. However, hot water breaks down the skin’s natural moisturizing lipids and leaves the skin dry. Do you remember our mother’s telling us not to go outside with wet hair? She was right! Hair can freeze in the cold, which can cause damage to the scalp and the hair can break off. Tip #3. Moisturize, Moisturize, Moisturize!! Switch to using organic butters or oils, and use them at least twice a day, more if needed. Be sure to use products free of harsh chemicals, additives and dyes. If you can, apply moisturizer before going outside and be sure to always apply moisturizer after cleansing the skin. Tip #4. Go beyond moisturizing. Give you skin a little love twice a week with a cream mask. Avoid using harsh scrubs or drying masks. I suggest using a creamy tea mask, which is hydrating and helps to draw toxins out of the skin. Or create mask using avocados, bananas, honey and essential oils. Try out the avocado mask recipe from It’s ok to Play with Your Food. Tip #5. Hydrate your environment. Invest in a humidifier. This is helpful for not only your sinuses but your skin as well. Placing plants with large leaves in your bedroom or areas you spend the most time in also helps increase the moisture in the air. Tip #6. Give your hands a hand. The winter brings cold and flu season. So we tend to be more vigilant about washing our hands, which is very drying to the skin. Applying a moisturizer after washing hands and throughout the day will help keep the skin supple and smooth. Make sure to wear gloves when out in the cold and avoid rough materials such a wool, and cotton that will absorb moisture. Tip #7. Eat Healthy Fats! Healthy fats, DO NOT make you fat. In fact, they are VITAL to a healthy diet. Our bodies need fat to absorb and process important vitamins and mineral. Our brains are 60% fat, and fat is the primary building block of our cellular membrane. Eating good healthy, like unrefined animal fats, avocados, olives, nuts, and tropical oils will improve your body’s ability to lubricate effectively. Good fats are essential for firm, supple skin and eating adequate amounts of fat will mean more is available for your oil-producing glands that are the skin’s natural moisturizers. Tip #8. Love your lips. Lips get dry and chapped because they have no sweat gland to lubricate the delicate skin and are sensitive to temperature changes. It’s import not to lick your lips, which will cause chapping. 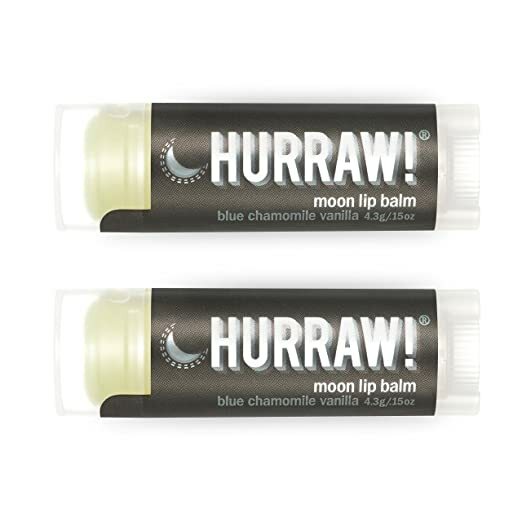 Instead keep soothing lip balms in your purse, car, drawers at work, next to your bed, or anywhere that you can access it. Tip # 9. Astaxanthin Supplement. Astaxanthin (pronounced “asta-ZAN-thin”) is a naturally occurring carotenoid pigment that is found in marine plants and animals, such as shrimp, lobster, and crabs. It is considered to be one of the most powerful antioxidants in nature. Astaxanthin has MANY health benefits, but for specifically for the skin, it protects the cells from damage, aids with skin moisture levels, smoothness, elasticity, and wrinkles. Astaxanthin acts as an internal sunscreen by reducing the UVA damage. Tip #10. Collagen Supplement. Collagen is a complex protein, containing 19 different amino acids and acts as the “glue” that holds our body together. It is the most abundant protein found in our body. It is found in skin, tendons, intervertebral disc, blood vessels, and the digestive tract. As we age, collagen begins to be depleted from our bodies, which can lead to sagging skin, wrinkles and joint pain. Although collagen is constantly being produced, by the time we reach our 40’s collagen is being depleted faster than it’s produced. By our 60’s, over half the body’s collagen is depleted.